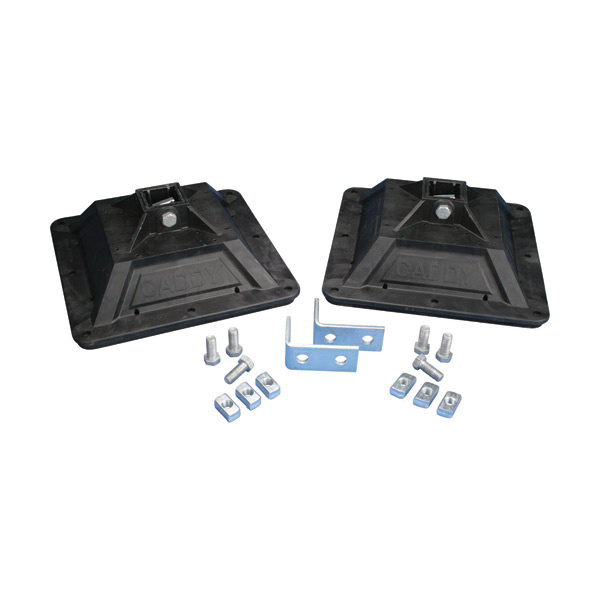 Erico Caddy® Polypropylene/polyethylene pyramid H-frame kit includes two post bases with pre-installed mounting hardware, six bolts, two L-brackets and six strut nuts. It works with roof surfaces that includes single ply, bituminous, metal and spray foam. This 1500-lb kit offers better load distribution with varying rooftop surfaces. The foam/rubber bottom provides low abrasion interface for enhanced roof membrane protection.